Kärcher’s SensoTimer ST6 Duo eco!ogic with its two independent water outlets ensures moisture-controlled watering on demand. Its two sensors, one per outlet, measure the humidity of the ground and transmit the information to the SensoTimer. The humidity values can be set at five levels. If humidity falls below the set value, watering starts at the set time. The removable controls and the five buttons allow easy programming of two watering sessions of 90 minutes maximum per day. Thanks to its eco!ogic function, watering can be delayed by one to seven days. Individual watering is possible at any time and programmed settings can be suspended for 24 hours. 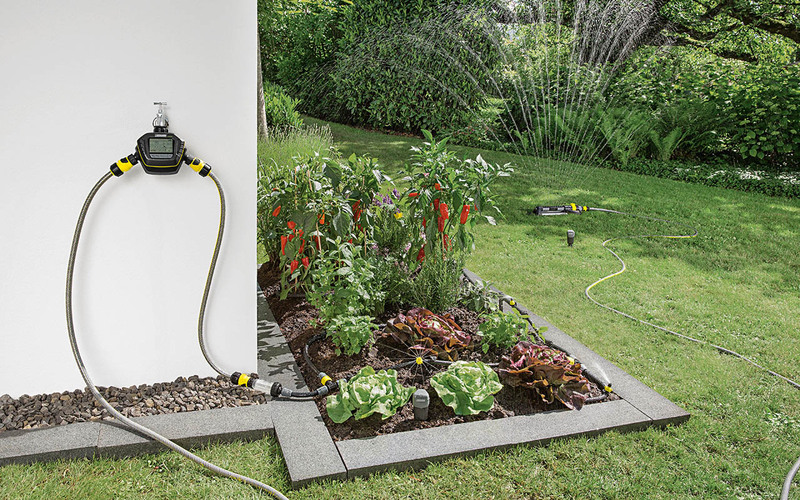 Watering with the SensoTimer ST6 Duo eco!ogic is exclusively based on demand and it is compatible with any of the garden hose quick-click systems on the market. Tap connector and pre-filter are included; three 9V batteries must be purchased separately (one for the control and one each for the two sensors).